And the honest truth is that I’ve been holding back because I’ve been feeling this pressure to make every blog entry deep and profound. This is a burden that I and I alone have placed upon myself since our Ava journey and her death. I ask myself, ‘Are people really going to want to read my trivial and somewhat meaningless entries?’ And then I tell myself “No, they wouldn’t”, and I walk away. But let’s be honest, I’m not writing for the masses, I’m writing because it’s in me to write! It’s something God has put in me to do that I love, so I have to let my go of my misgivings and just write because I can, because I have a blog and I’m allowed to… so there! This post is about visiting Ava, which as you can see from the picture below is what our family calls our visits to Ava’s grave. We all pile in the car and on the way there I feel sad, but I also experience a slight form of anticipation like I’m going to be near my baby again. I get out of the car feeling a little keyed up, and then a few moments later I’m standing at her grave and I realize once again that I’m not feeling it. In fact I’m having a really hard time feeling connected to this granite slab with Ava’s name on it. Sure I’m standing over her… rather macabre.. standing over what’s left of your daughter.. but where is the sense of connection that I’m looking for? That connections not there because Ava’s not here. This is just her memorial, the stone that we have erected to let the world know that we loved her and remember her. It’s in a sense her little place in the world, but it’s here because she’s not here. Today was an OK day for Ava. I got to the hospital early this morning because I didn’t want to miss any of her awake time, and I was rewarded by a happy smily girl, who gave me a nice snuggle. I took her for a walk around the unit, but she tried quickly and wanted to go to sleep right away. It turns out that her liver is a bit enlarged again which means that yet again she is getting fluid over-loaded. I thought that it might be that way yesterday as she just didn’t have the energy that she did have the previous week and her heart-rate has been higher than normal. So this morning they decided that she needed another dose of metolazone – the heavy-duty diuretic they give her once in a while. It takes a while to work, but I’m hopeful that by tomorrow morning she will be feeling a little better. She is such a little trooper and even though she still wants to sleep most of time, I just cherish the awake time we get with her. And Aleeda is doing well… she is still sedated in the Critical Care Unit, and they are still waiting for her ‘new’ heart to regain all its function. Apparently it’s not usual for a transplanted heart to lose some function after transplant, but we are just praying that the heart recovers all of it’s function soon. Alleeda also still has an open sternum, so please pray that they can get her chest closed sooner than later, and that she and her new heart can heal quickly together. And I apologize but it’s been a very busy day and I’m fading fast and so I need to sign off. But tomorrow is another day and as always I will keep you posted! And he had an OK birthday. He was a little down last night because even though it was his birthday, he didn’t ‘feel’ like it was, and he wanted to go home. Poor kid. I probably should have done a better job of making it special. But thankfully our friends the Seabrooks drove up to see us last night and we had a wonderful birthday dinner and she brought cake and the kids stayed up late and we had a great time. But it’s still not the same as being home and I get that. It’s just that this is where God has us right now and we gotta learn to be content. Thankfully our little miss Ava is doing well. She has had a good couple of days and has been very smiley and happy. 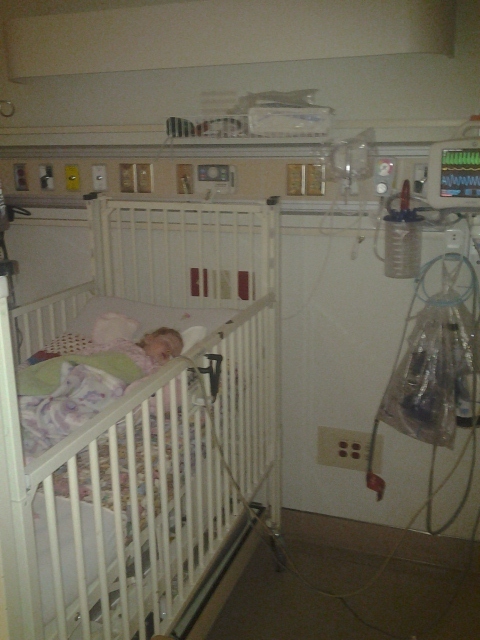 She is till having issues with her temp & heart rate rising, which might all be related to her terrible heart function. But there are a few other kids in her in the hall-way that are doing the same thing, so maybe they just have a strange bug. But it’s not a bug they can find, that’s for sure! They are running the whole gamut of tests again today on Ava to try to pinpoint some type of infection, but last time everything they did this everything turned up negative so I would be surprised if they found something now. But other than that she is very good and we are happy to be able to give a good report. We hope everyone has a safe and happy Canada Day weekend! Well it’s seems it’s been an uphill battle for Ava to recover from everything she’s gone through. Yesterday (Sunday) I was concerned about her in the morning, because she was breathing shallow and fast, and seemed so pale. I was concerned enough to call the resident back in to have a look at her. He at least could reassure me that she was ‘safe’ (stable), and that did help to relieve my mind. As the day went on she did seem to get better, even though she just slept most of the day. She was only up for two short bouts, but had lots of smiles for daddy when he went to see her last night, so that was wonderful. Anytime she smiles, I’m thankful. 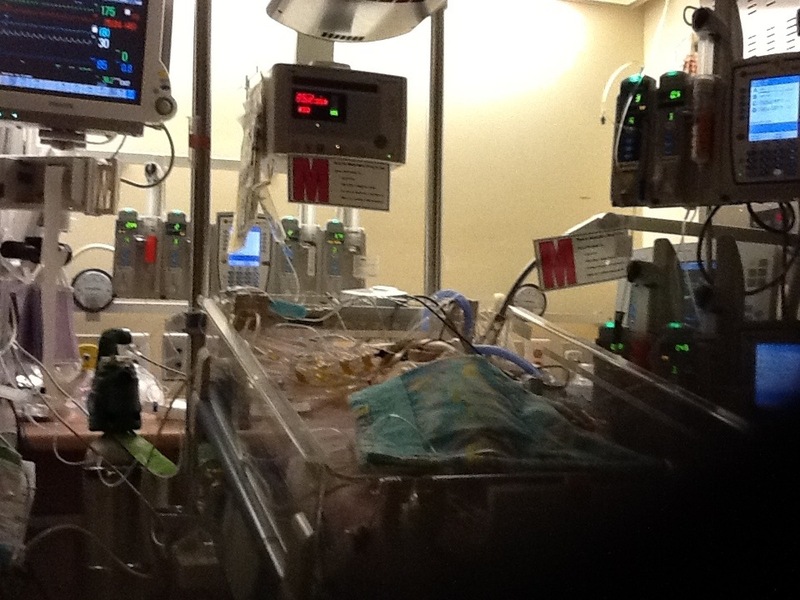 She is still on oxygen and definitely still on her IV heart meds… I’m not sure she will ever be able to wean off of those. But hopefully she will recover from all this soon and then we can continue doing all the checks needed for her transplant work-up. Once all testing is done we can sit down with the transplant Dr’s and see what they have to say about listing her for a heart. So that is what we are up too. Just day by day, trusting in God and seeing what He has in store and waiting for our Ava to mend. OK – so it’s been a crazy week and it’s all because Ava has a cold. That’s right, a plain old-fashioned regular cold, but she doesn’t seem to be able to kick it and it’s causing us problems. And I wrote about how we ended up in emerg on Monday because I noticed Ava was working a little harder to breathe, but were sent home and told to watch her closely. Then Tuesday Ava was Ok, she was still coughing, but then Wednesday just before dinner I started to clue in that Ava wasn’t doing so well… she was sweating constantly no matter what she was doing, but her feet stayed cold and were dusky looking, so that was rather worry-some. 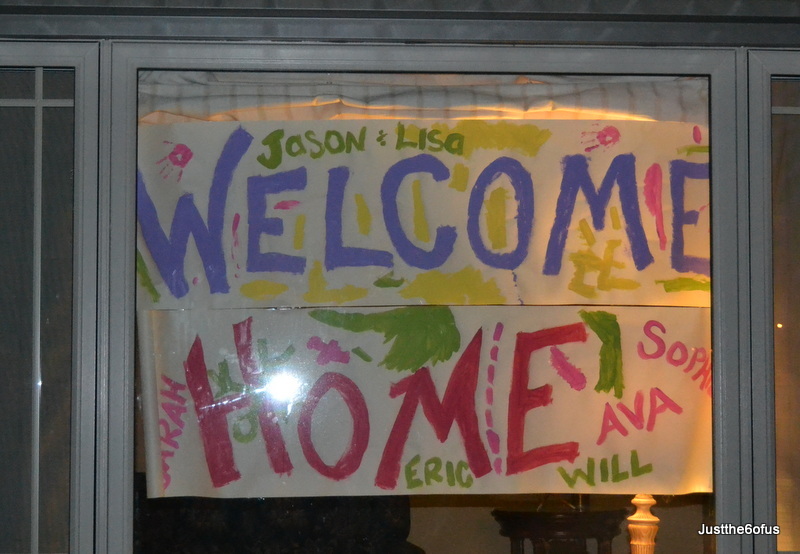 When Jason came home and looked at her, he asked right away if I was going to take her in, so I called Sick Kids. The cardiology Fellow on-call told to take her in right away, so we found ourselves back in emerg. 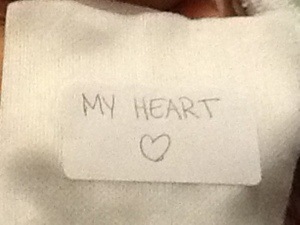 The Dr who was on that night was really great and was so knowledgeable about Ava’s cardiac condition. He felt that Ava’s fluid levels were a little low and needed topping up. His reasoning was that with her breathing quicker because of her cold and then with her sweating so much, her fluid levels had probably dropped a bit. The lack of fluid was affecting her circulation and her heart wasn’t able to profuse her body with oxygen properly. And so they upped her fluid by giving her an entire feed of just Pedialyte and it worked. Very soon after her feet were pink again and she just looked better all over. And not only did we have a great dr that night, the emerg nurse we had that night attends our church! We had never met him before, but he figured out that this baby Ava was the Ava from the prayer list. And since I had been really worried about Ava that night, it was cool that God arranged for someone to be on who knows what we are dealing with. And then because our little Birdy looked so great right away and her blood-work came back fine, they swabbed her nose just to see what bug she had and sent us on our way. That was definitely a record-breaking fast ER trip as we went there and were back home in three hours, pretty amazing. However Thursday afternoon I was holding Ava and she was sweating like crazy again and she was huffing and puffing she was breathing so fast. And so again I called Toronto and again they told me to take her in. 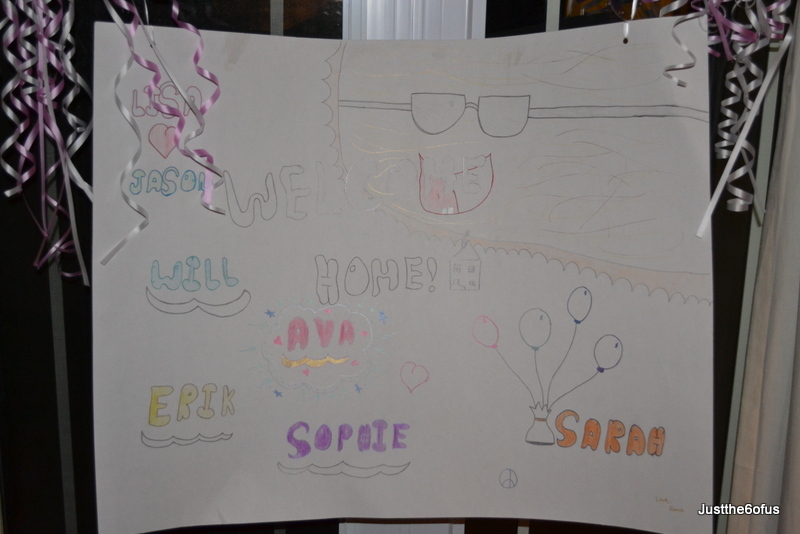 And because they had already been talking with the London cardiology team about Ava, they all decided that they would admit her so that she could be watched for the night. So back to the ER we went. And really Ava didn’t look that bad, definitely looked better than the day before, but whenever Ava is doing something she shouldn’t, they always worry about her heart, and they just don’t want to take any chances. So we were admitted and Ava was hooked up to the heart monitor and sat monitor, and over-night all her numbers leveled out and looked great. So thankfully this all doesn’t seem related to her heart function, it’s just her cold wrecking havoc. After our London Nurse practioner and a Cardiologist saw her in the morning, and one of her meds got upped to hopefully help with her sweating, they said that we could go after we got some blood work. Not blood work! Two words I dread to hear in reference to Ava. And it’s not just because no child likes getting their blood taken, it’s just that trying to get blood from Ava is horribly difficult. Mainly because as a hypoplast, her heart couldn’t pump as hard in utero and so she has tiny blood vessels compared to other babies and they aren’t really close to the surface. So often she gets poked repeatedly before they can get blood from her and it seems to be very traumatizing for me… and probably Ava too, haha. So the nurses started trying, and they tried first tried to get blood from her temples… her temples???? Um yes, although I’ve never seen that done before. But they tried and it must have hurt like crazy because Ava cried so hard I thought she would burst a blood vessel. After they tried both sides of her head with no luck, they thought they would give her a break and call someone else in. So now we are at home again and we are praying that Ava will kick this cold before it stresses her out more. The London team alluded to the fact that Toronto might want to delay her catheterization because she is sick, and that thought is depressing. Ava needs her next surgery to get stronger and if we have to delay her cath, then we also delay her surgery. And that would be hard to take as it could push her surgery into the summer and leaves her longer in this place were she isn’t very strong. Wow, after 7 weeks of being away, we are finally home and it feels wonderful!!!! We thought we would never get out of Toronto on time yesterday, because there were alot of lose ends to tidy up as Jason checked out of the Ronald MacDonald house and I tried to leave the hospital. And even though Ava didn’t love the trip home – her first trip in a car seat – we still managed OK. And I think Ava likes home. I sure do… I can finally relax! Well kinda, in between giving Ava meds 8 times a day and pumping and trying to nurse her and then tube feeding her 8 times a day, we are a little bit busy over here. I will say it again, we have great neighbours. And we also had to put up a sign on our doors asking for healthy visitors only please… which feels a bit snooty, but the fact is that Ava just can’t get sick – because if she does she will end up in the hospital. Even tonight she was breathing a little bit too fast so I had to call the Dr on call at Sick Kids and thankfully she started breathing slower, but I have to keep an eye on her and he was talking about adjusting her medication, but even something as simple as that could land her back in the hospital which is something we wish to avoid for obvious reasons. So we thank God for bringing us home and together again, and pray extra hard that God will keep Ava healthy until her next surgery. I get to sleep in my own bed again tonight with my baby right there with me… hurrah! Ava Samantha Grace is now one month old, congratulations sweetheart! And it’s been a super-duper busy day, that’s for sure. Remember how I said that they moved us to the 4th floor into the step-down room? Well after just a single night in that room – we moved again – this time to our own room, crazy! So we found ourselves installed in a room that has a bathroom and a bed (if you can call it that) for me, and now I am taking on a huge amount of Ava’s care. I change all her diapers, I comfort her when she cries and I’m even learning how to feed her through her NG tube… did you know that every time you feed someone through a nasal gastric tube you have to insert air into their belly and listen with a stethoscope for a ‘pop’ to make sure it’s the in right place? I was surprised. But I was able to give her some of her meds today through her tube. It’s a little daunting, but baby-steps is how we travel these days. And yes, I’m a little over-whelmed and stressed. We had a good routine down and now everything has changed again. With me staying at the hospital full-time Jason is now doing even more on his own with the other kids (and doing an amazing job by the way). Not that I was doing much before to help him, but at least I was still sleeping at the Ronald MacDonald House, and spending time with kids. Now that I’ve basically moved into the hosptial I’ll only be visiting them there, I’m sad. But Ava is doing good from my perspective, she did have to go on another blood pressure med and apparently one of her heart valve’s is leaking but its all stuff we take in stride. Oh, and Monday the Occupational therapist will come and test Ava to see if she can swallow without choking… they are a little concerned because her vocal cords seem to be paralyzed (this can happen in surgery) and that can make swallowing tricky, that combined with her quick breathing might make it a huge feat for her, but if she can swallow, we can start to try oral feeding, so please please pray! And talking about prayer – I was getting pretty worked up tonight and upset but Jason prayed for me and reminded me once again to have faith. In God. Knowing that He is allowing this and has a plan. So even now -one month in and trying to adjust to change and not knowing when we will be coming home and I am feeling like maybe I can’t take anymore -I’m so glad that God has placed people in my life to remind me and encourage me that He will never forsake me. And I know in my heart its true. Just wanted to give you a peek at what we see when we are sitting at the foot of Ava’s bed…. And yes – there is a baby in there! It’s just a little thing, but it makes me smile. I love you my Birdy!! !